Connecting the world through your creations: a new kind of Cosplay Community Platform. A completely new and improved WorldCosplay. 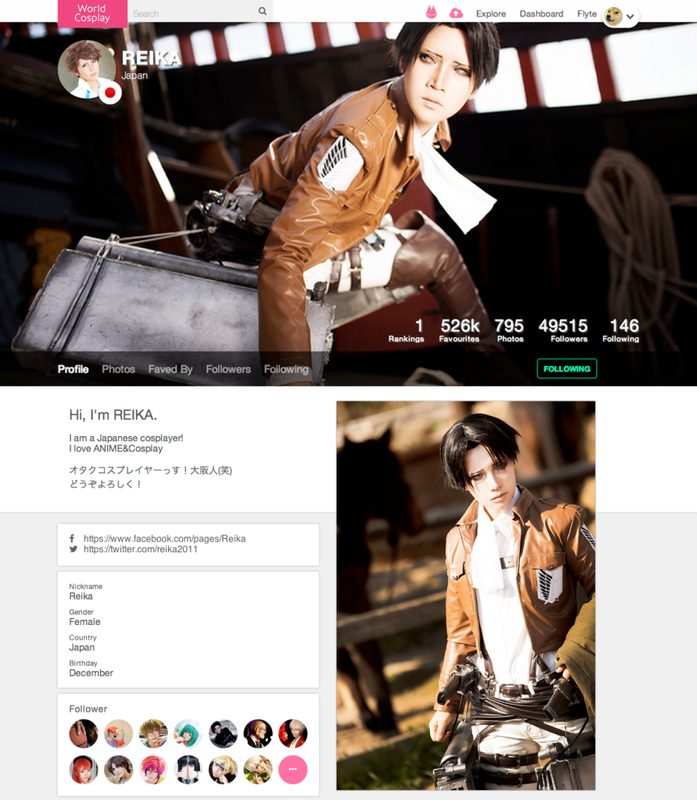 WorldCosplay, a cosplay community site that allows the world to share and upload cosplay photos, got a revamp: a design face-lift and entirely new functions. 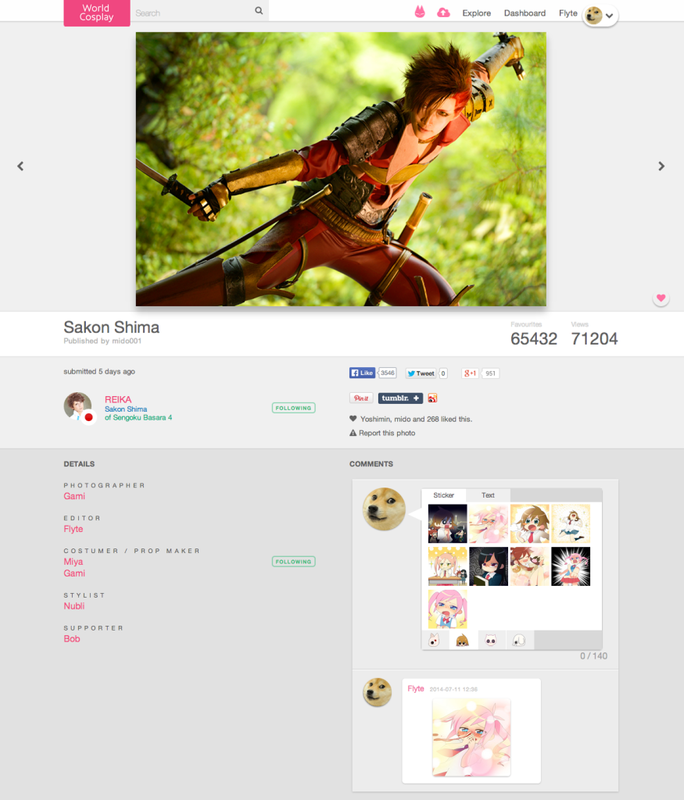 This new design allows for a stylish way to see cosplay photos in beautiful high resolution. User categories have also expanded: we now also allow photographers, prop makers, and the like to be credited. Stylishly see photos in high resolution. We’ve created a new beautiful design that allows even photos that have been uploaded prior to our update to be viewed in high resolution. You can view the layouts from the computer, tablet, and smartphone. Up until now, we’ve only allowed cosplayers to upload photos. Now, since there are more user categories, cosplayers, photographers, prop makers, costumers, editors, make-up artists, stylists, and other related individuals can upload photos they were involved with. Users can also create their own custom categories and these photos can also be shared with the same users. People who aren’t on WorldCosplay can also be tagged and invited to join WorldCosplay. Since our users are from all over the world, they upload varied types of photos. We’ve allowed a way for people to communicate without words: stickers. Our new sticker function will allow users to comment “love” and “awesome” without requiring the use of words, breaking the language barrier by allowing users to communicate with each other without a common language. New ranking calculations have been added for Spotlight, Weekly Ranking, Monthly Ranking, and Total Ranking, allowing cosplay beginners and veterans alike to enjoy using WorldCosplay even more. WorldCosplay aims to connect the world through cosplay and support the spread of cosplay culture throughout the world. 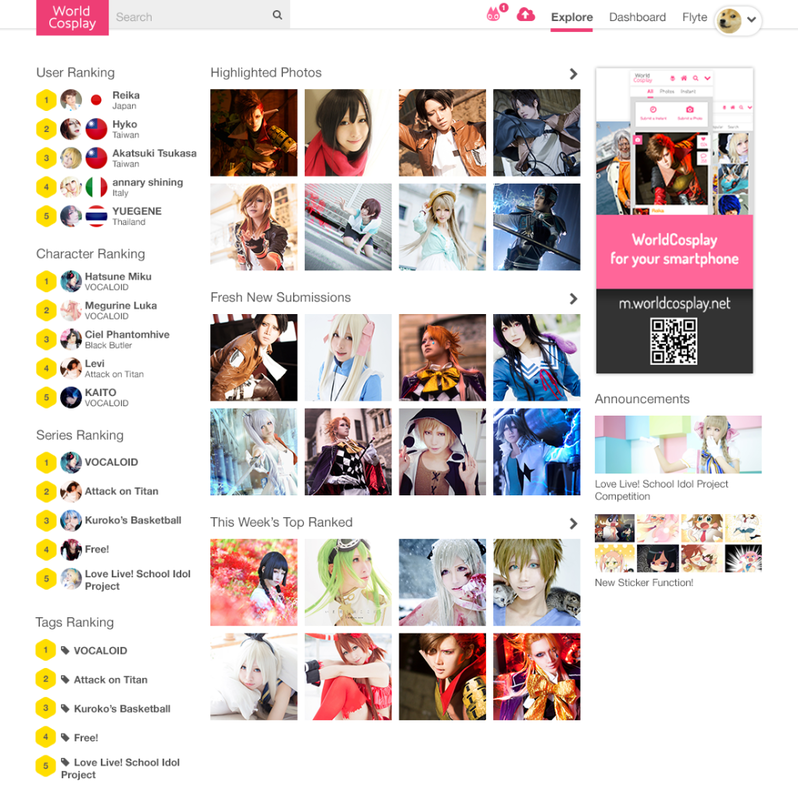 We’re a cosplay community platform that’s fun and enjoyable for cosplayers and cosplayer aficionados a place to view, display, upload, and share their cosplay creations. We’ll be adding more functions in the future, so please look forward to it.